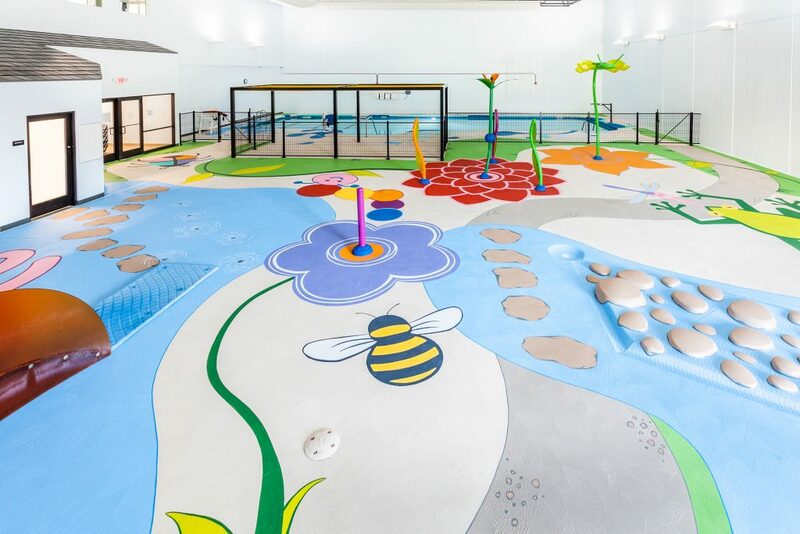 All that you see in the RAC pool area was hand painted! Cleveland artist Haley Cavotta adorned the pool area with the most lovely and cheerful imagery to be enjoyed by all. 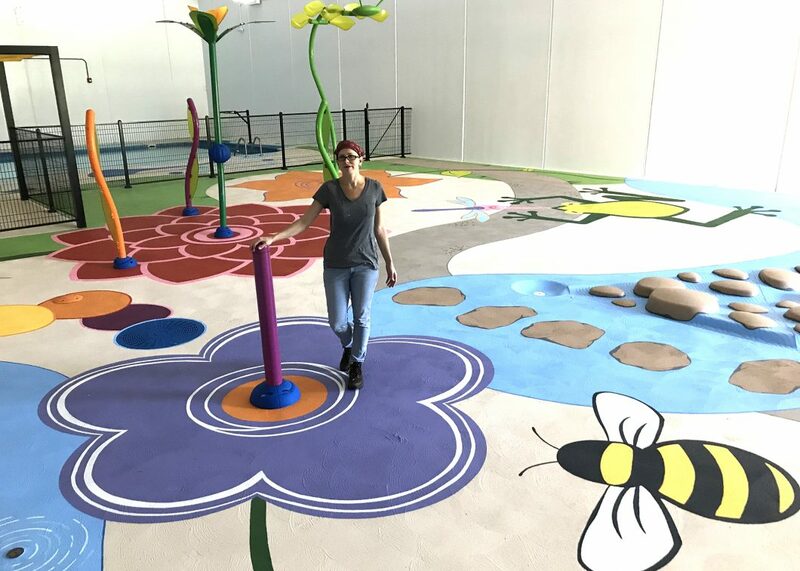 It took Haley, with the help of her assistant, Matt Hlabse, 20 days of painting to complete this project filling in 7,000 square feet of space. And it gets even more extraordinary – most every piece was done free hand! Yes, I know…it’s incredible! The only time paper shapes were used as a guide was for the larger shapes. Because those needed to be carefully fitted into the space, like the beautiful lotus that is 16 feet. 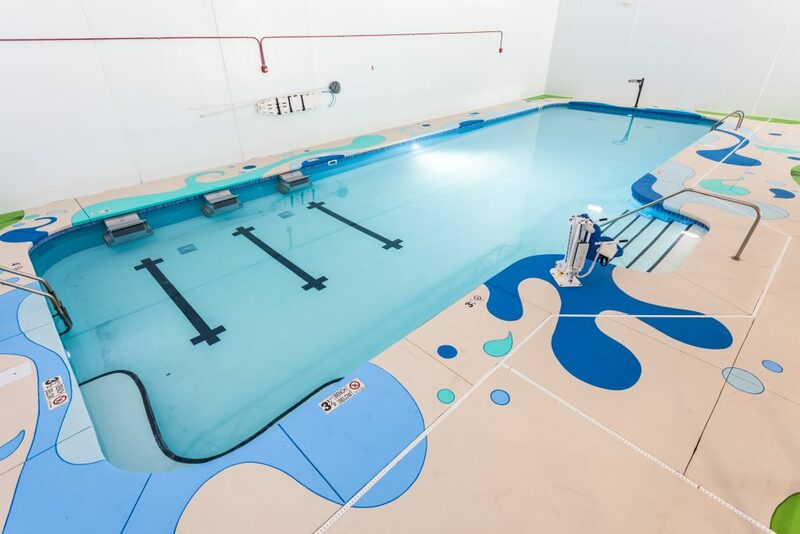 Now walking into the pool area, we can all enjoy something exclusively ours at the RAC. A mural for all ages that highlights this area and can be enjoyed by families, neighbors, and party-goers for years to come. Thank you again for helping to make the RAC bright and inviting.